Home Blog Learning Chinese May Be Easier if you Learn Japanese First and Vice Versa. Learning Chinese May Be Easier if you Learn Japanese First and Vice Versa. For People who speak both Japanese and Chinese, what will be easier to learn first, Chinese or Japanese? Would it be easier to first learn Chinese before learning how to speak Japanese? Or will learning Japanese help someone with learning Chinese? What to learn first Japanese or Chinese? A system of Japanese writing known as Kanji uses many Chinese characters. With this knowledge will learning Japanese help me with Chinese or would it be better to learn perhaps Mandarin first to help with learning Japanese. When trying to choose what to learn first Chinese or Japanese learning either one will be the same amount of difficulty. There are many Chinese characters used in Japanese so it can be easier to learn Japanese first but it can also be easier to learn Chinese first because the Japanese language come from the Chinese language. If you are thinking will learning Japanese help me with Chinese, you are right. Although this is true one should know learning first Japanese or Chinese will not make a huge difference in the ability to learn both languages and either one will be fine. In the Japanese language normally there of 2 sort of pronunciations for one character. “音読 おんどく ondoku or 音読み おんよみ onyomi” and “訓読 くんどく kundoku or 訓読み くんよみ kunyomi”. Both languages are known to have derived from the ancient Chinese language. Modern Chinese and Japanese come from the Chinese ancient language. Remembering this origin of both language may also help you remember the pronunciations. This process, at times can be a deterrent also because in the long history the pronunciations of characters in Chinese changed. Example: Character 人. In Japanese, its 音読 incorporates ニン nin (呉) as in 人間の歴史 にんげんのれきし and ジン jin (漢) as in 登場人物 とうじょうじんぶつ. These two variations, ニン and ジン, originate from various occasions of old China; one of its 訓読 is ひと. In present day Mandarin, the articulation is “rén ㄖㄣˊ”, in any case, I know in “吳語“, the elocution is “nin”, which proofs the ニン nin (呉). This could likewise assist you with remembering the 音読. In the event that you know “Nin” and “Jin” for “人“, you may figure “nin” or “jin” for “仁” (really, it’s correct! ), in light of the fact that both “人” and “仁” have the comparable sound in old/current Chinese. When composing Japanese writing we know that there is a lot of Chinese Characters that are used. Writing down the characters will help in the process of learning one of the languages. A few characters will still need attending too. There have been several reforms done by both Japan and China on traditional characters. A few changes were done such as simplification to improve literacy education and some controversial reason dealing with politics. This process of reforming was not collectively done by Japan and China so some characters are different eventhough they were once similar. There are much more simplified characters done in China then those done in Japan. The Chinese government did treat Japanese version as reference, e.g. 國 simplified to 国. Most of the time the definition of the character in Chinese and Japanese have the same meaning or something nearly equivalent to the same meaning. In any case, Japanese by and large keeps the definition of a character in Classic Chinese, while in present day Chinese definitions of a few characters have changed. As a student it is important to give careful consideration to the characters with different meanings if he is familiar with the other dialects. A student with no acquaintance to another language experience may be different and will probably have less errors because there is not prior language to reference the new language against. Over all when comparing and contrasting the disadvantages and advantages of knowing one language prior to learning the other one we can conclude it can indeed make it easier. Knowing Chinese can help with learning Japanese. Modern Chinese although with its simplified new characters still is derived from classic Chinese. The Japanese language also has roots of the language which is also derived from Ancient Chinese. Therefore, knowing the Chinese language whether modern or classic can help with understanding most of the Japanese language. 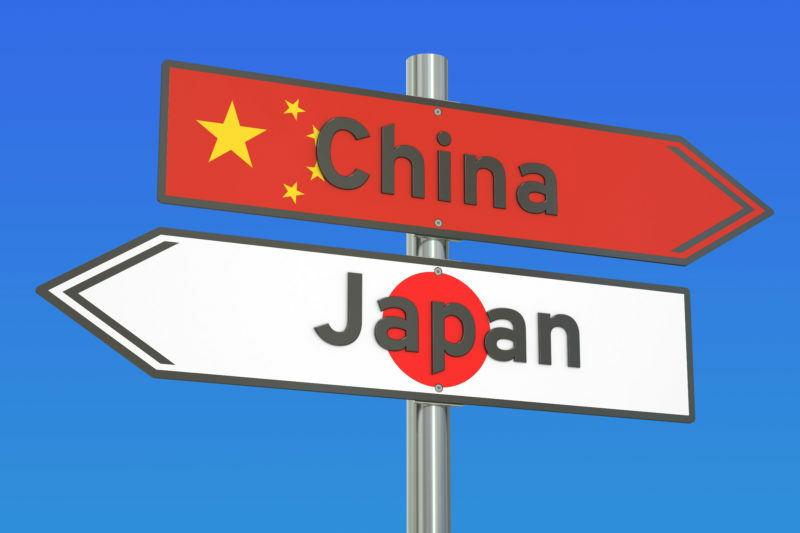 With this similarity at the core of both the languages deriving both from classic Chinese a student may find learning Japanese easier if they speak and understand a dialect of the Chinese language. We can also conclude an answer to the question what to learn first japanese or chinese? We know that if a student is educated with the knowledge of the Japanese language it may also help with learning Chinese because of its use of classic Chinese as a reference for its language. Therefore, knowing Japanese first can make it easier when learning Chinese. The student will know a language that is founded over 1000 years ago and is solely based on Ancient Chinese language. With experience and knowledge of the Ancient Chinese language because of the knowledge of Japanese language the student will have an head start on their journey of learning a new modern Chinese language such as Mandarin. Learning languages gets easier with the more languages you learn. The basics to learning a new language is to learn the characters, the sound of the language and how to use it properly. Learning one and then the other does make the process a little less brutal and maybe a little easier if not much easier. Understanding Chinese words that had Japanese equivalents or Japanese words that have Chinese equivalents will contribute to learning either one. Learning one language before the other will give better knowledge about characters they share and the purpose. However, as mentioned before the student still must learn the differences such as pronunciations, strokes and in some case the meaning.